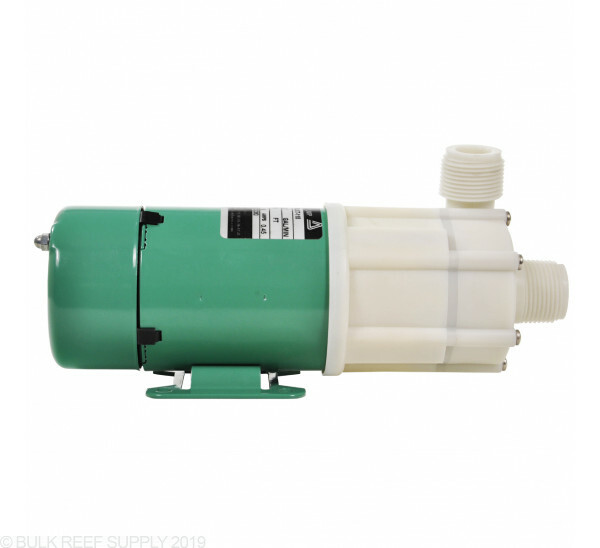 External pump from Iwaki , the world leader in small magnetically coupled centrifugal pump technology. 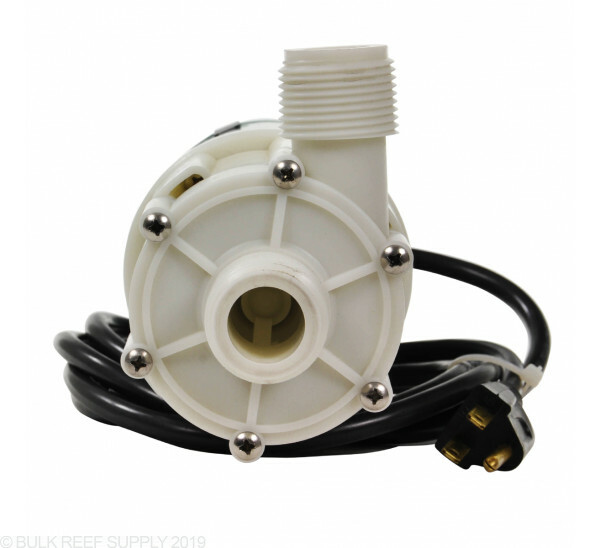 American-made motor is designed to operate with more head pressure with flow rates of 300-1200. 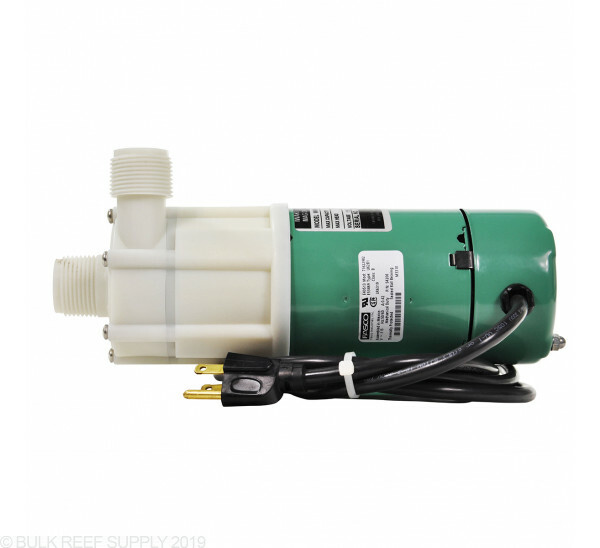 Quality external pump. 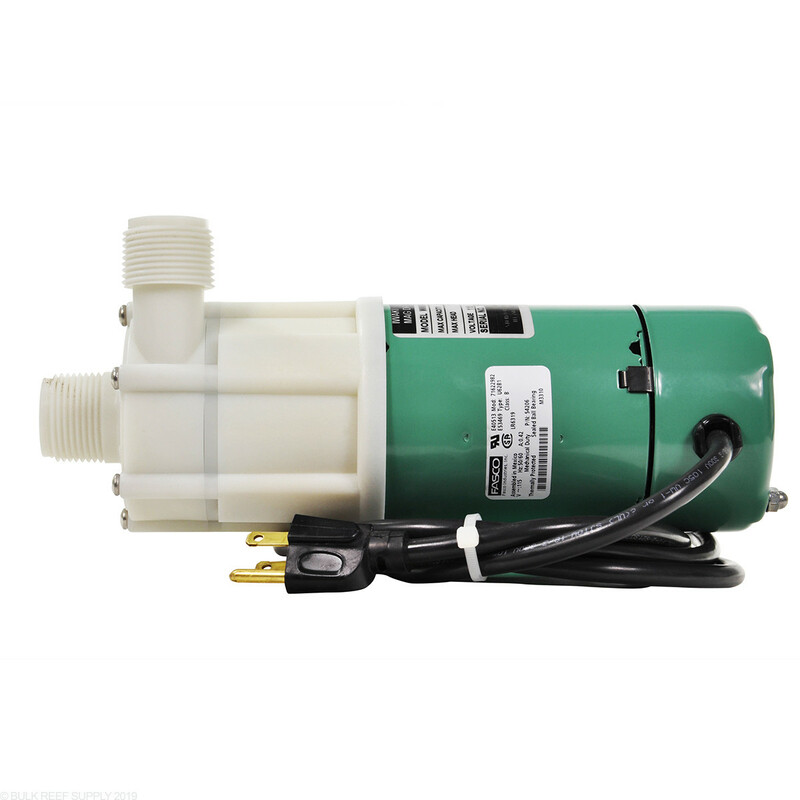 Iwaki America pumps offer high pressure rates in a durable, compact pump. American motor offers similar performance to the Japanese but at a lower cost. 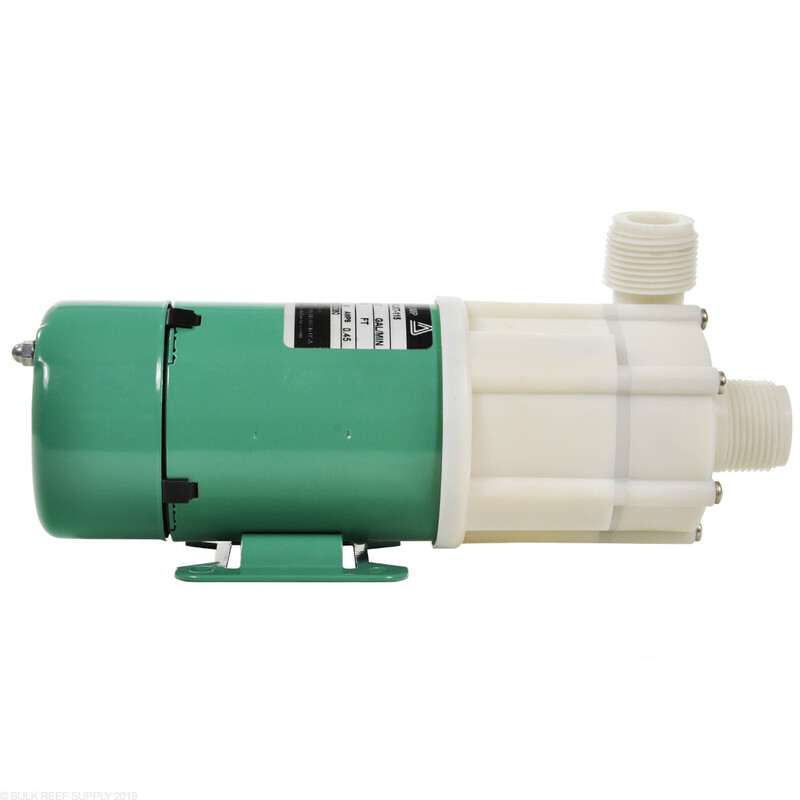 Easily tailor pump applications because of the numerous motor/pump configurations. WMD stands for Walchem Mag-Drive. 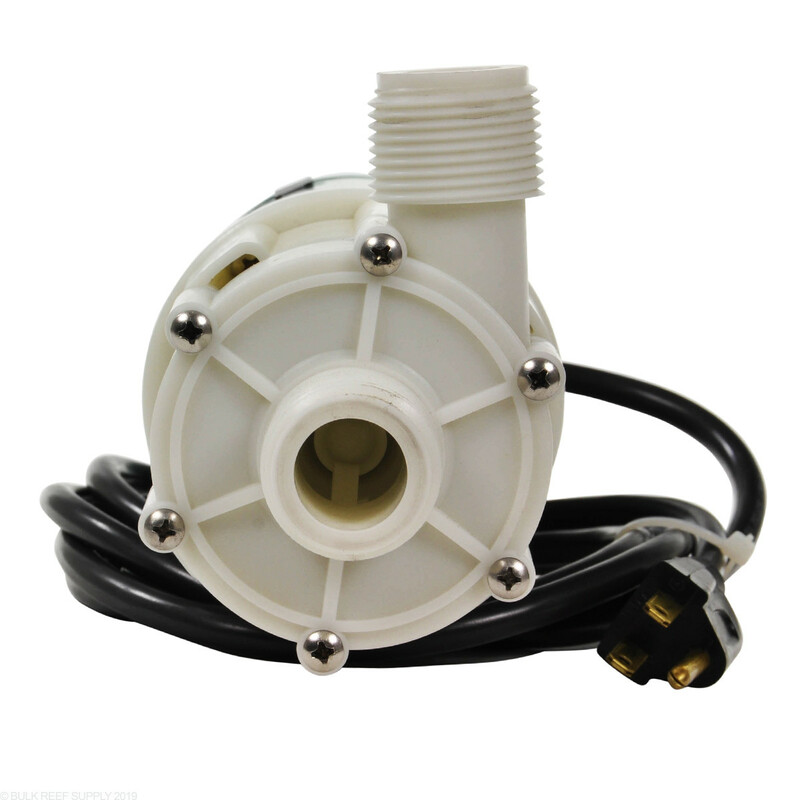 This pump is so quiet all i can hear is water pouring into the sump. Good thing too my Tank is in my Bed Room. Had to adjust the plumbing a bit was smaller than my last pump but so nice not to hear the motor running.